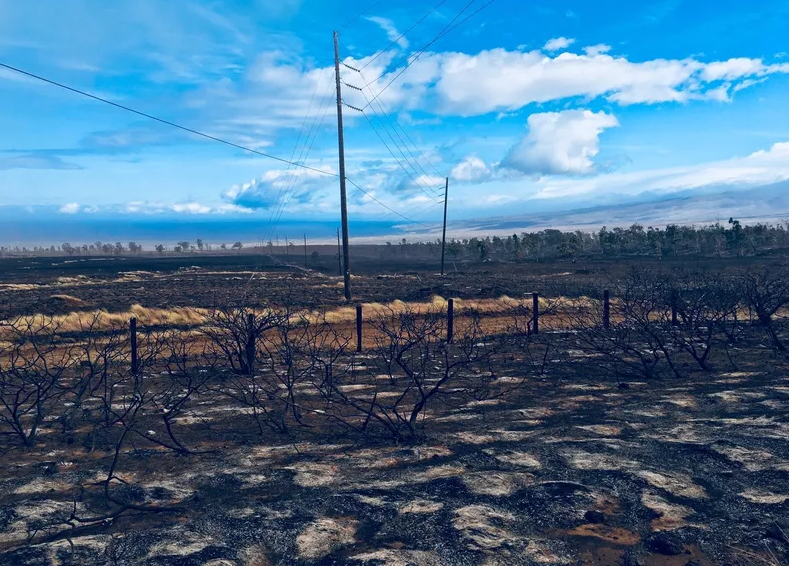 Amazing work put in by our firefighters who put it all on the line (literally) to protect important places such as Waikoloa Village and the Waikoloa Dry Forest Preserve. This fire will go down as the 2nd largest in Hawaii's modern history, falling short of the 25,000 acre fire in 2005 that burned to the very edge of Waikoloa Village. Satellite image of the burn area. The Hawaii County firefighters reported significant progress Monday morning in battling the Waikoloa brush fire that has been burning since Wednesday. HFD said the fire was 95 percent contained. The massive wind-whipped brush fire has already scorched nearly 18,000 acres of land so far. Authorities also report that what remains of the brush fire is away from public roadways, and no closures are in place.